Distortion: If you leave city A because city B offers a better job, city A is horrible and dying. Balance: Based on simple math, mid-sized cities are unlikely to offer dream jobs to all individuals who grow up there or attend college there. To believe they can is like believing in the tooth fairy...at age forty. Distortion: If your positive data is not as good as someone else's positive data, your positive data is negative. Balance: If you played in the NBA but were not as good as Michael Jordan, you're not a failure. Distortion: Your negative data is unique to you, or at least more negative than anyone else's negative data. Balance: Companies go bankrupt, move, and split everywhere. I believe it's called business. Distortion: Past performance always dictates future performance, especially if past performance was negative. Balance: If my daughter makes a mistake at a piano recital, I shouldn't tell her that failure is her destiny. New Yorkers get crushed on taxes, at least relative to other states. The Tax Foundation recently identified New Yorkers as paying the highest percentage of income (12.7%) to state and local taxes of any state in the country. I have to preface what I'm about to say with the following: (a) I would love to pay less taxes, and (b) New York State has to figure out a way to make its tax climate more appealing to business. As per Newsweek, the Rochester area has 5 public high schools in the top 500 in the country, or 3 times more than would be expected by population alone. In the same Newsweek ranking, New York State as a whole has 60 high schools in the top 500, or double what would be expected by population alone. At least one resource has pinned Rochester as the fifth best location in the country to be a teacher. Cities in New York State account for 30 percent of the top ten. Paying (good) teachers is a reasonable investment as the first two statistics seem to indicate. As of 2011, among metro areas with over 1 million people, Rochester had one of the smallest shares of uninsured citizens (8%), with Buffalo having only 7.5% uninsured. A generous Medicaid system is likely at the root of this statistic. Last year, 24/7 Wall St. attempted to identify America's 50 coldest cities with a population of at least 10,000 people. Taken into account was the average minimum temperature in the coldest month of the year using data from 1981-2010. We've all heard the standard story about Rochester (and perhaps even told it ourselves): it's cloudy, Kodak has fallen, downtown has collapsed, and anything positive is not as positive as anything in Texas, Florida, or the Carolinas. Meanwhile, as the standard story is told ad nauseam, another story has unfolded: the region continues to grow (slowly, I know), arts and culture remain phenomenal, the beer/wine/cocktail/coffee scene can compete with anywhere, young people are embracing Rochester, and at last check outdoor activities have not relocated. It's kind of like the Pacific Northwest of the East Coast. If you don't enjoy having nearly everything except traffic and oppressive real estate costs, you may want to look elsewhere. If you have hipster tendencies, this place rocks (or ROCS, if you must). If you're not into being around smart people who are also laid back, you may not like it. I'm supposed to pretend I don't like it, but I secretly love it. As previously noted, Rochester has fully embraced the craft beer trend. Since moving here in 2010, at least 11 new breweries have opened, not including preexisting breweries that have opened a brew house (Genesee), preexisting restaurants that have begun brewing their own beer (Stoneyard), breweries that are planned but not yet open, or the immense number of breweries that might not be considered in the immediate Rochester area (i.e. the more eastern Finger Lakes). At some point, this dedication to brewing has to be recognized, and it appears that the recognition is now arriving. 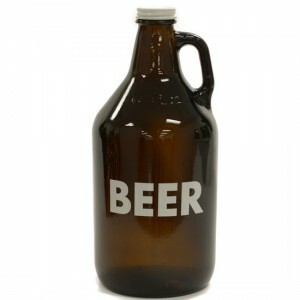 SmartAsset.com recently studied 296 of the largest cities in the U.S. with the goal of identifying the Top 25 Best Cities for Beer Drinkers. The analysis took into account the total and per capita number of microbreweries and brewpubs in each city (with the average Yelp star rating for such establishments), the number of bars per capita, and the average price for a pint of domestic beer. Based on this methodology, Rochester earned the label as the 13th best city for beer drinkers in the country. Not that the availability of high quality beer defines a region, but it definitely doesn't hurt. Rochester's ranking places it in the company of well-branded cities such as Portland, ME; Asheville, NC; Portland, OR; Denver, CO; Seattle, WA; Pittsburgh, PA; Austin, TX; Grand Rapids, MI; San Francisco, CA; Madison, WI; and Boulder, CO. Which warrants the question: when will Rochester's brand catch up with reality? After five and a half years of living in Upstate New York, I have realized that part of the culture is to apologize for living here and discuss when you are going to depart. Yet interestingly, Upstate New York comprises 20% of this list. City A has a population of 193,792 and is located in a metro area with a population of 1,027,703. It can see around 75 inches of snow per year, and over 200 days per year have at least 80% cloud cover. The New York Times describes it as "a creative community" with "a confluence of urban revival and arts funding." Highlights worth noting are a downtown market (that does look really nice) and a tasty barbecue joint. Over 40 craft breweries line the city's ale trail. City B has a population of 179,154 (down from a peak of 253,504) and is located in a metro area with a population of 1,609,367. It boasts a solid winter, though not quite to the same level as city A. It is described as having a "bearded liberalness and ever-rising food scene." About an hour away is located a new culinary center that offers "competitive-style" cooking classes. If you haven't guessed, City A is Grand Rapids, Michigan, and City B is Providence, Rhode Island. What is the point? Rochester has all the ingredients to be a legitimate destination. All that is required is ongoing downtown development and perhaps an attitude rearrangement. Despite being labeled a company town (Kodak), the region has grown in spite of the company's local workforce shrinking by over 95%. Top-tier universities and elite suburban public education are part of the community fabric. On a per capita basis, the arts and cultural offerings are among the most abundant in the country. Having a musically gifted child who can play piano by ear, yet making him or her feel inadequate because the neighbor's child is a better soccer player. Having an intelligent, beautiful, and supportive spouse, yet harping on his or her inconsistency in doing the dishes. 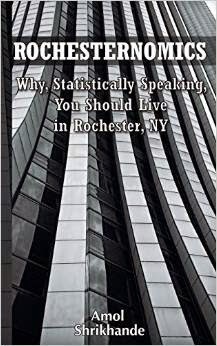 Have heard of Rochester, know its population, and put it nowhere near the top ten.